There are a few anime music intros that have made me want to listen to the entire song every single episode. Say, I love you, is one of those intros. It's not often that a song and intro sets the scene so well and matches the characters and story of the anime perfectly. When the song first starts, and the intro does that blur effect, you get a real feel for the romantic tone of the anime. Unfortunately, that's where the positive side of the anime ends. Say, I love you, is your typical clichéd teen romance drama, akin to the dreadful shallow characters that was Twilight. 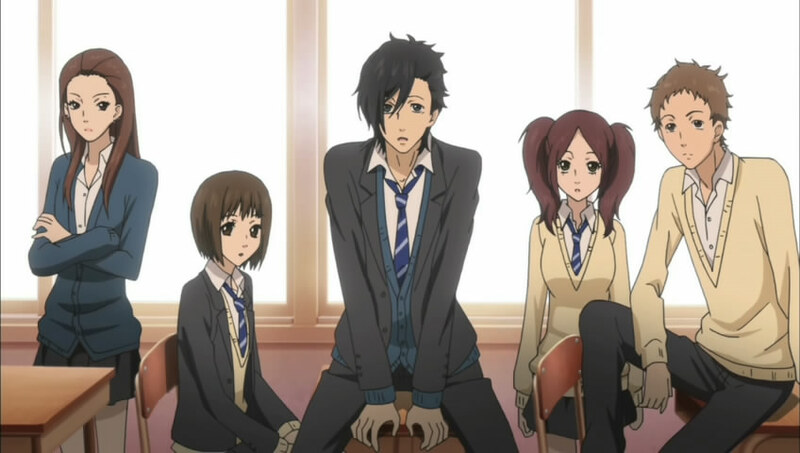 The story tries to delve into a plot revolving around school bullying and the troubles school kids face when dealing with social expectations placed on them by others, but unfortunately, the main couple of the show, Mei and Yamato, leave much to be desired in the way of character development. Thankfully, we see the supporting characters, Aiko and Megumi, filling in the gap and giving us a true glimpse into the horrible mentalities of the "popular" kids in school. Megumi's story is certainly the plot to follow for this show, rather than the protagonists. 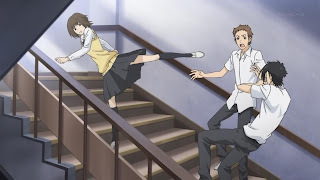 At the beginning of the show, we are told of Mei's past, the bullying she suffered, and the betrayal of people she considered her friends, which drives her to give up on making friends altogether and cut herself off from the world. This seems to work well for her, and in the first episode we are shown Mei as a character who doesn't need friends, strong enough to go at things by herself and just get on with school life, regardless of what anyone thinks of her... until she kicks Yamato in the face and que "love at first sight" entrance. After this point, Yamato pressures her into being friends when she doesn't want to be, going so far as to give her his phone number. But when a stalker starts following her home from work, instead of calling the police, which would be the sensible thing to do she instead calls the guy she didn't want to be friends with to come save her, and in doing so, he takes liberties with her vulnerability by stealing her first kiss. I would like to think that Mei gets stronger, and that she is able to deal with her issues that stop her from making real friends, but in the end we are treated to the typical plot of a female character who changes herself to suit the guy she likes for no explainable reason. Mei's love interest in Yamato is completely unfounded, no reason given, and comes across as the average YA "he's so perfect" trope that has many viewers shaking their head in dismay. 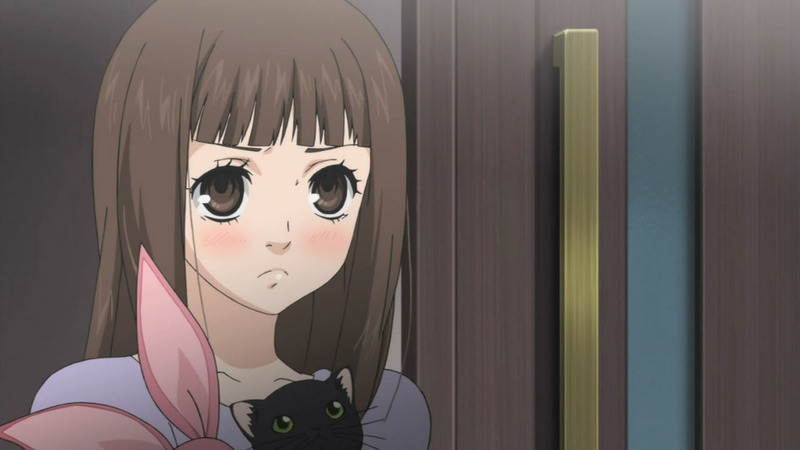 Unfortunately for Yamato, he comes across as an inconsiderate emotional blackmailer. His character truly does reflect Edward from Twilight, and it is made worse when every mistake he makes is forgiven without any argument from Mei because he is just too perfect in her eyes to do any wrong. What happened to the Mei we met in the first episode? He has turned her into a weak character that lacks any mind of her own, instead deferring to other people's opinions on how she should act. Her character instead of growing, actually gets worse as the episodes go on, and even by the last episode she is still the awkward shy mess she was back in the second episode. One day, I'm ever hopeful I'll find a romance anime that actually progresses with the relationship beyond a kiss or heartfelt words. 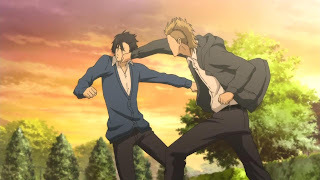 When the first episode started with a kiss, I thought this might be the anime to do that, but as the episodes came and went, and no more progress beyond that was made I lost hope. We saw more progress in Aiko's story than the main protagonists. We can at least be thankful for Nagi and Kei, who come along to help Mei open up by sharing their own similar experiences with her, and for the most parts, their stories tend to be stronger than Mei and Yamoto, even though they are only minor characters. In fact, Kei's background is the only glimpse we get into Yamoto's character to make us think there might actually be something behind that superficial exterior he exudes, but it is gone within one episode and never mentioned again. Which is a complaint for much of the story; every problem is solved far too easily with none of the expected drama that should go alongside it. The anime was trying to be "lets all be happy" so much that it lost any credibility to the problems the characters faced. The real depth to the show comes from Megumi, the amateur model who buys people's friendship with money. 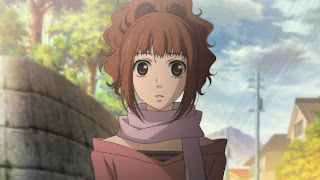 Her story provides insight into the true nature of the superficial-popular-girl-type character we often see on TV when her whole world implodes on her when attempts to win Yamato's affection away from Mei, as well as that of Yamato's friends who befriended her, backfires on her and she ends up loosing everything and discovering that she had no friends after all. The consequences of this story arc drive her into a psychological breakdown that ends up being far more interesting of a story than the romance between Mei and Yamato. Overall, I was hoping this show would be better than it was. I still found it entertaining enough to watch the entire series, but was left at the end thinking, 'That's it?' when the outcome of the show was no real different to any other romance anime, and possibly in a way, worse.